Freezing is a good way to preserve the overflow of your garden pea crop. 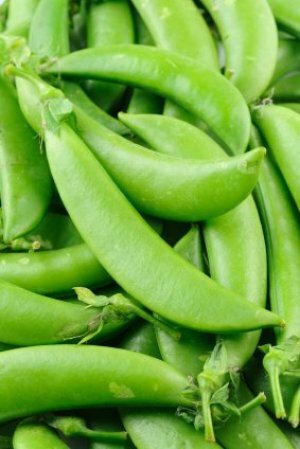 This is a guide about freezing snow peas (sugar, Chinese, or sugar snap peas). Select tender, flat pods that are bright green in color. Wash. Remove stems, trim off blossom ends and remove any strings. Leave pea pods whole. Cool, drain and package, leaving 1/2 inch of headspace. Seal and freeze. If the peas have already started to develop, prepare them for freezing like green beans. 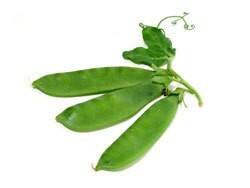 If the peas have already fully developed, shell them as green peas. Water-blanch small pods for 1 1/2 minutes and large pods for 2 minutes. Cool promptly and drain. Lay drained, blanched snow peas in a single layer on a cookie sheet and place in the freezer. Using this method makes it easiest to separate the peas when thawing. When fully frozen, portion peas into suitable containers and return them to the freezer. Leave 1/2 inch of headspace. Blanch snow peas for the recommended time according to size. Cool immediately and drain well. Transfer peas directly into suitable containers for freezing. Leave 1/2 inch of headspace. Freezer containers should be moisture and vapor resistant and should not be prone to cracking or breaking at low temperatures. Containers should provide protection against absorbing flavors or odors and should be easy to label. Suitable packaging for freezing snow peas includes freezer-grade plastic bags, rigid plastic containers or glass containers and heavy-duty aluminum foil. 10 to 12 months at 0ºF. To thaw snow peas, place them in a strainer or colander and run them under cold water. Snow peas make a great addition to tossed salads. Chop them up and add them while they are still frozen. Store fresh snow peas for 3 to 4 days. In boiling water, the cooking times for sugar peas and snow peas are respectively 2 minutes, and 1-1/2 minutes. The blanching times given in many of the lists I found on-line, are 2-3 minutes. Does not that mean that your blanched sugar and snow peas are already fully cooked, or even overcooked? How do I store snow peas for stir fry in my freezer? I put some in the freezer this year but have not eaten them yet. I think I just washed them and blanched them for about a minute, cooled in ice water and bagged. I blanched them for a nano second, then ice water, then bagged for freezer. Couldn't use them. Too soft and tasteless. What to do? How do I freeze edible but matured snap or Chinese pea pods? They have full pods.